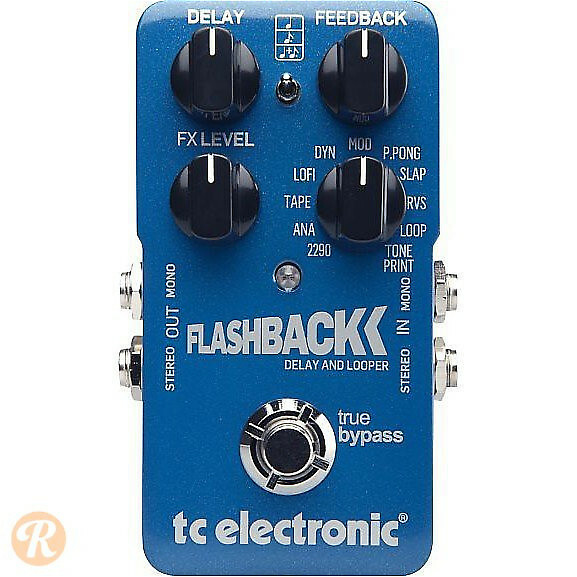 The TC Electronic Flashback is a delay and looping pedal that sports over ten types of delay, including reverse flutter, TC Electronic's 2290 delay, and LoFi delay, with up to six seconds of delay time. The looping function can handle up to 40 seconds of looped material and allows for infinite redubs. The Flashback includes stereo outputs for Ping Pong delay and adjustable repeat patterns.